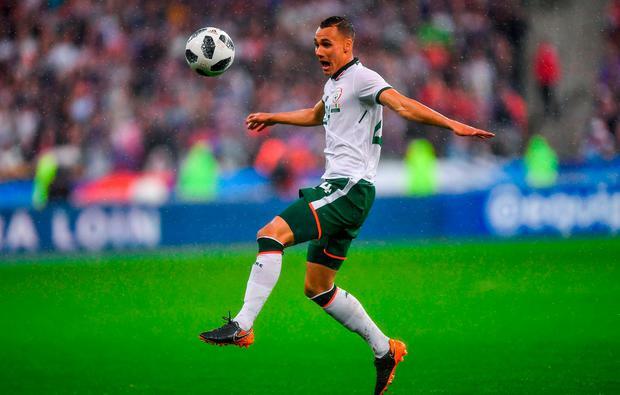 Graham Burke became the first League of Ireland player since Joe Gamble in 2007 to earn an international cap for the Republic of Ireland. The 24-year-old Shamrock Rovers was introduced as a substitute after 70 minutes when he replaced Callum O'Dowda and showed some nice touches in an impressive cameo. He was the first Rovers player to line out for the Boys in Green since Pat Byrne in 1986. He has found the net 10 times in the Airtricity League so far this season despite the Hoops' indifferent form. "At 55 minutes, I was told to warm up and then you get the call from the sideline to say you're coming on and the heart start beating a bit faster. But to go on the pitch was brilliant. "For everyone playing in the League of Ireland, you can see that if you're playing well you can go and achieve a senior cap. It just goes to show you can go out and do it."